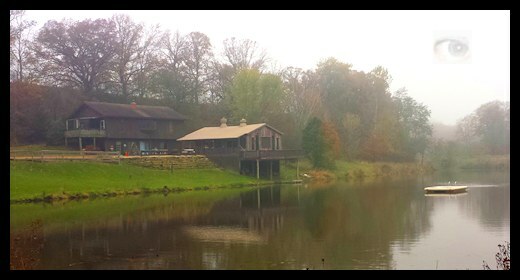 Vision By The Lake is a quiet rental property with cabins, grill house, permanent camper and on-site activities. The 45 acre resort is located north of Platteville WI in the rolling hills of southwest Wisconsin. The large 2 story Lodge is fully furnished and accommodates 10 people. The Solar Cabin is rustic and sleeps 4 or 5. The permanent camper is partially furnished and sleeps 2-5. The Grill House is an excellent location for a country wedding or large informal party. Seating for 50. The rental property is available year round to enjoy seasonal activities. Call to reserve.